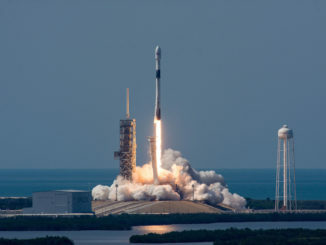 The 15-story first stage of the Falcon 9 launcher touched down on SpaceX’s landing vessel nearly 400 miles east of Cape Canaveral less than nine minutes after blastoff at 1:26 a.m. EDT (0526 GMT). 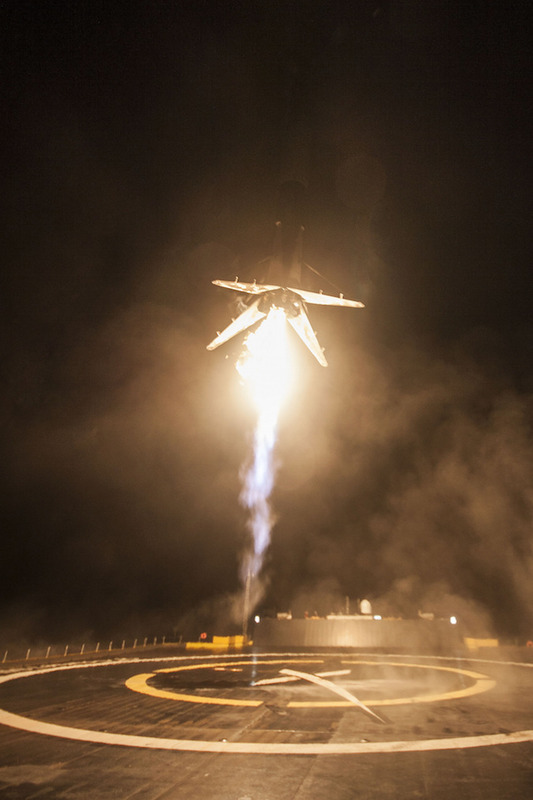 After detaching from the Falcon 9’s upper stage, the booster flipped around and ignited three of its nine Merlin engines for a re-entry burn, then fired its center engine just before landing to slow down before reaching the football field-sized barge. 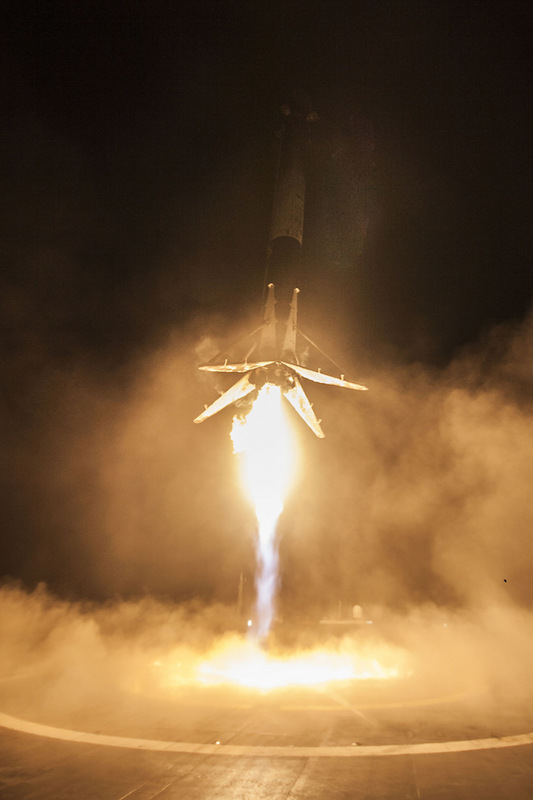 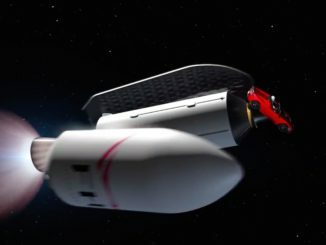 Aerodynamic grid fins helped steer the rocket, and four landing legs popped open seconds before touchdown. 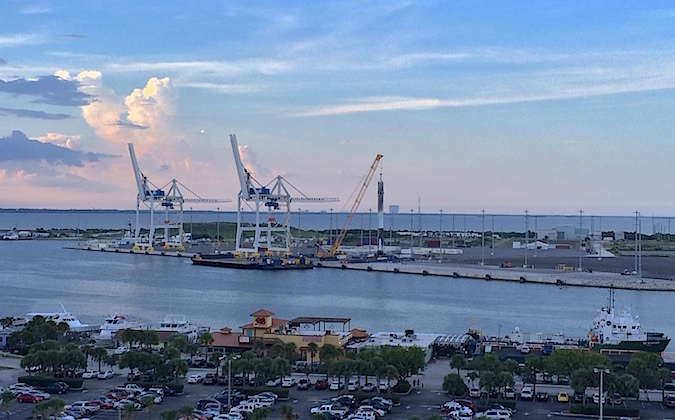 The landing ship, dubbed “Of Course I Still Love You” after planet-sized starships featured in Iain Banks’ sci-fi novels, was towed back to Port Canaveral, where it arrived Wednesday. 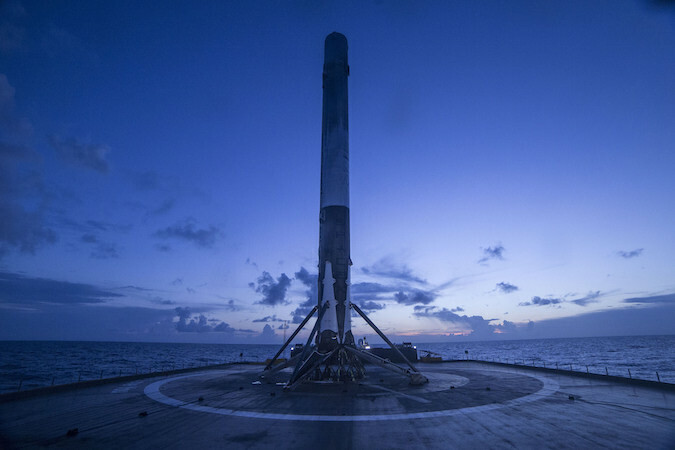 SpaceX technicians lifted the rocket off the barge Wednesday evening and on to a cradle at the port, then removed the four landing legs. 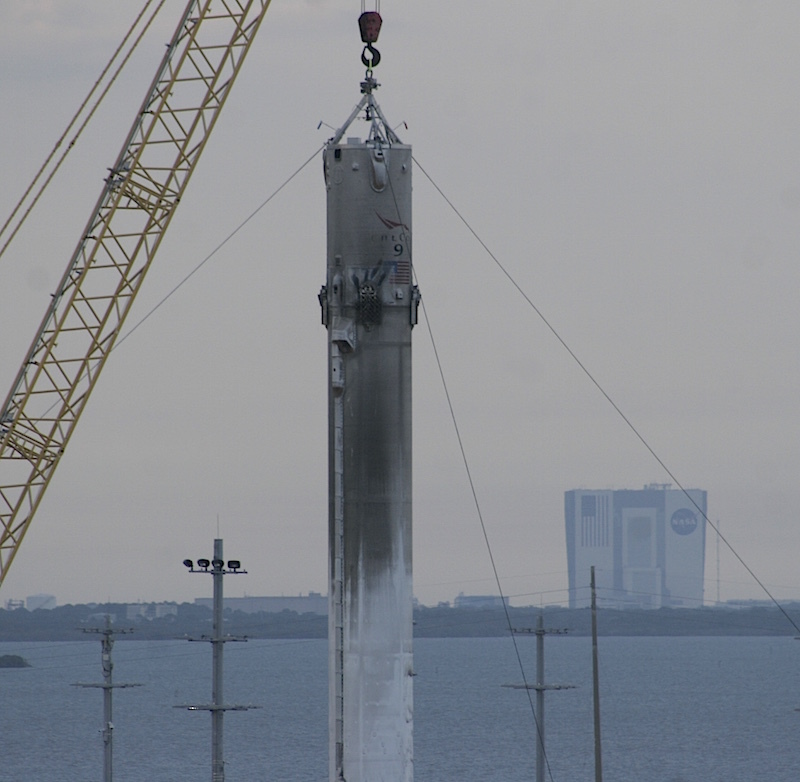 Ground crews are expected to soon rotate the rocket horizontal, lower it onto a trailer, and truck it back through the gate to Cape Canaveral Air Force Station for further inspections and potential use on another mission. 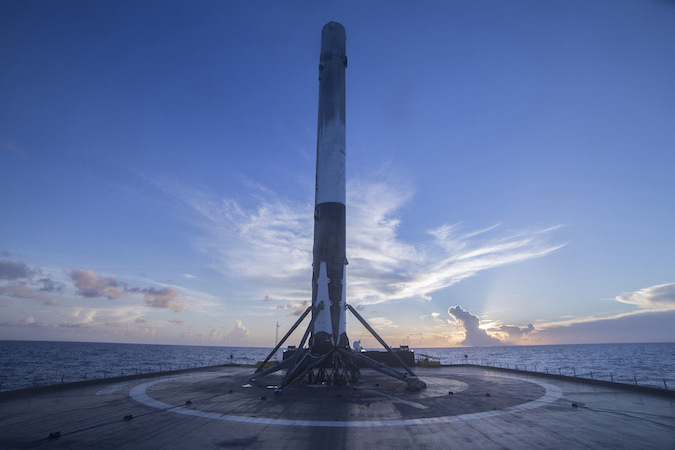 SpaceX is now 6-for-11 in Falcon 9 rocket landing attempts since the company began experiments with propulsive braking and landing maneuvers targeting a ship or landing pad in January 2015. 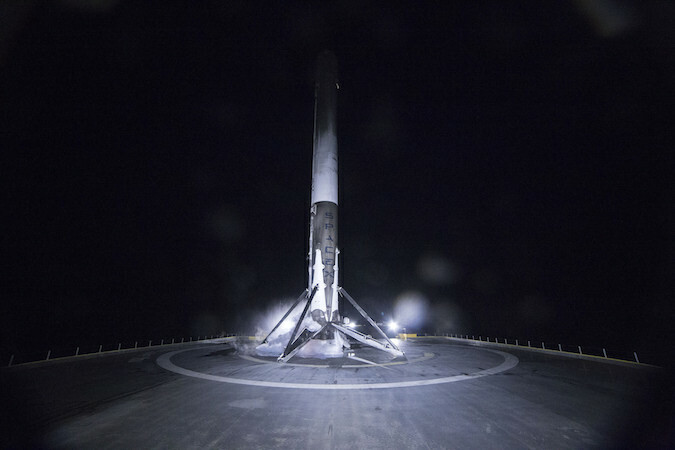 The record for landings at sea is now 4-for-9. 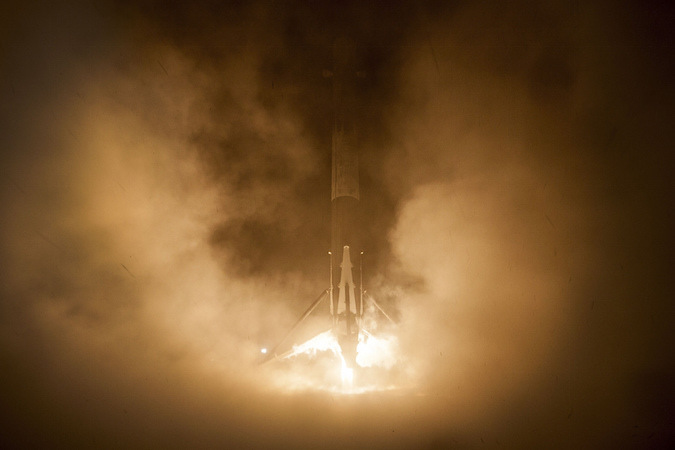 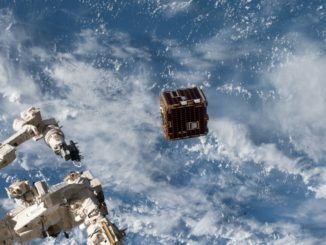 The photos below come from SpaceX’s cameras on-board the landing platform, showing the Falcon 9 booster’s final descent after launching the JCSAT 16 communications craft for SKY Perfect JSAT Corp., a Tokyo-based satellite operator. 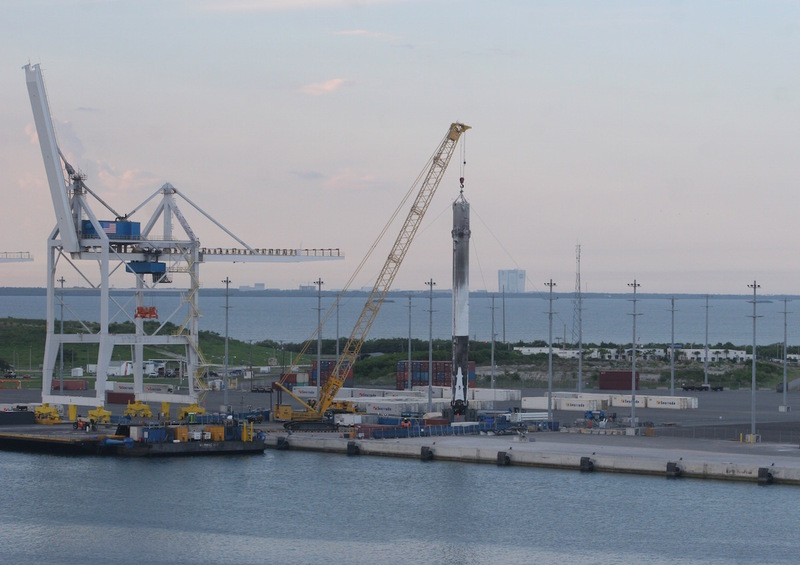 Other images on this page show the Falcon 9 rocket sitting on its cradle at Port Canaveral on Saturday evening, a week after its successful flight.